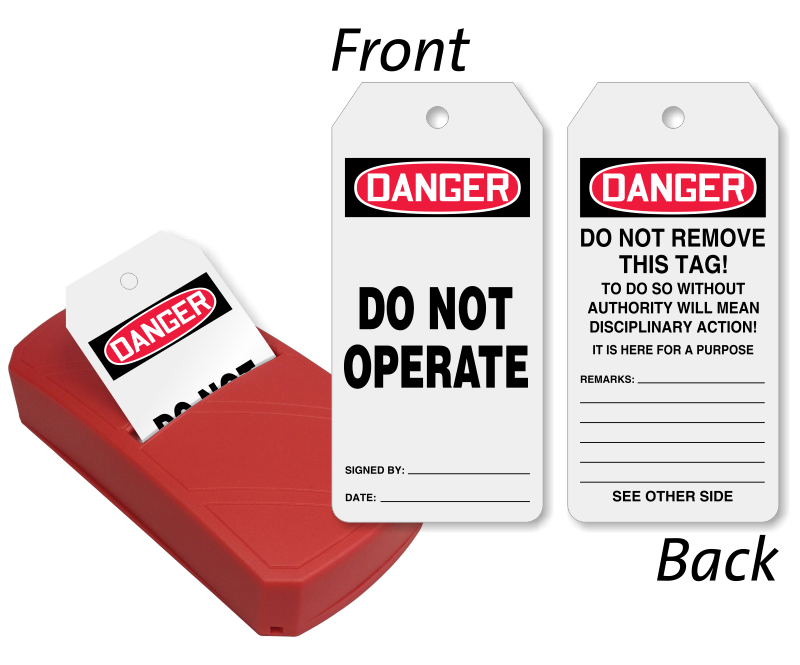 Take advantage of our 2-sided Do Not Operate Tags offered in Take-A-Tag Dispenser. • Dispenser has keyholes at the back for convenient mounting near your work station. • Tags inside the plastic dispenser are fan-folded to reveal the next available tag for use and ensures quick removal. 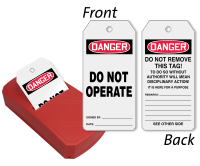 8" x 4" x 1.75" plastic dispenser hold 100, 10 mil thick synthetic plastic tags. 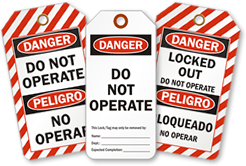 Tear-resistant and waterproof tags mesasure 6.25" x 3" and include a 3/8" hole. Includes 2 holes underneath for easy installation. Reusable and can be reloaded. Writable matte surface for pens or pencils.